So if you're looking for an Ubuntu-like system but don't want to be Canonical's lab rat for the transition to Mir and Unity 8, Mint is for you. Mint 18.x should make for a familiar but stable Linux environment. In some ways, that means Mint has become what Ubuntu once was—a stable, new-user-friendly gateway to Linux. Mint installation is now simpler than upgrading to Windows 10 (though there is one additional headache with 18.0). And once installed, both the Cinnamon and MATE desktops will be familiar to anyone switching from Windows. While Ubuntu's Unity and GNOME's 3.x series opt for sometimes radical changes, Cinnamon and MATE have taken a slower, more progressive path. Mint has elected to evolve overall rather than "revolutionize," making it a far more comfortable choice for newcomers who aren't likely to enjoy having the rug pulled out from under them every time they upgrade. Mint's slower, more evolutionary path seems to be serving it well, enabling it to play tortoise to Ubuntu's revolutionary hare. These days Mint is one of the more popular desktop Linux distributions. 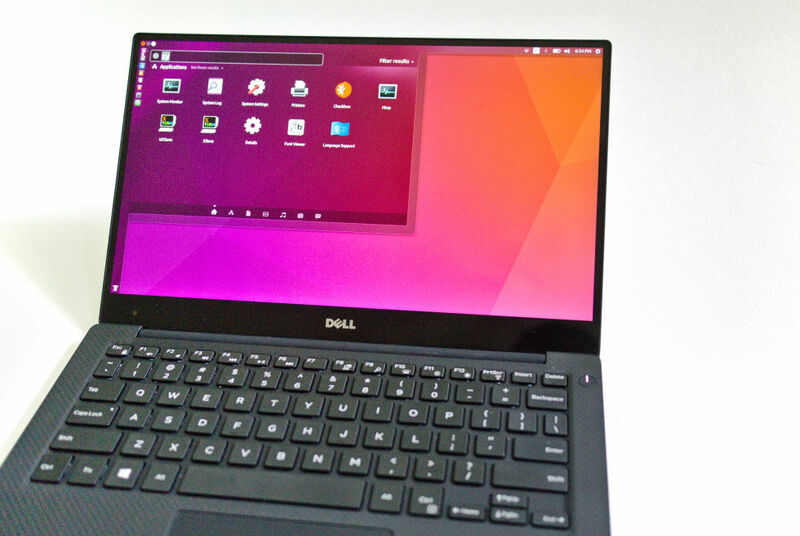 While it doesn't match Ubuntu's total usage by a longshot, it draws the most interest of any desktop among the hard-core Linux users who read Distrowatch. Mint 18.x is well poised to continue to drive Mint's popularity. It's a solid release with some big changes, most of which won't cause the average user any problems. Both Cinnamon and MATE look and behave more or less as they always have with a number of incremental improvements. Mint 18 has a lot of updates under the hood, most of which the average desktop user can safely ignore. However, there is one change that will mean an extra installation step for many users. Mint 18 is the first Mint release to ship without patent-encumbered codecs and plugins. The change is a result of legal and copyright issues in some countries, particularly the United States. To help out with the install there's a new GUI app dedicated to installing multimedia codecs. It's prominently listed in the installer, and if you don't opt for it then, there's an item in the start menu on both Cinnamon and MATE. This makes the process fairly obvious for new users, though the install is nowhere near as simple as having it just work from the start. There is a new command line tool that will allow you to package up the codecs from the install disk (without having to have an Internet connection). It's nice to see Mint is aware that not everyone who uses it necessarily has constant high-speed Internet connections. Too many Linux distros seem blissfully unaware that many of their users don't have always-on, high-speed access (or worse, they just don't care). It's an especially nice touch since not shipping with codecs in the first place is really to appease the legal restrictions of US users while potentially dumping the bandwidth problem on those who could have had the codecs bundled legally. Enlarge / There are no codecs installed in this release, but there is a new GUI app that will install them for you. Interestingly, if you happen to use the Chrome Web browser (not installed by default) and VLC for videos (also not installed by default), you might not even need most of the codecs, since both apps bundle the necessary codecs and plugins themselves. That really just leaves the MP3 codecs to install. 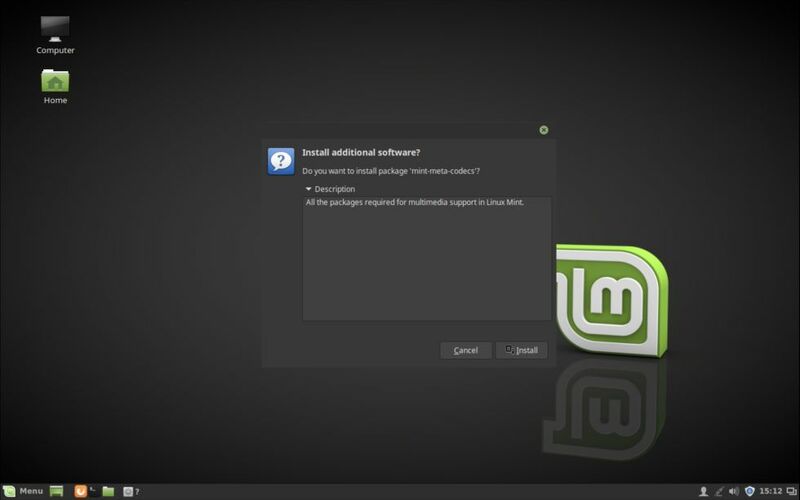 Straight out of the box Linux Mint 18's flagship Cinnamon desktop looks just like its predecessor. The theme is still the "Mint X" theme that has been the standard for Cinnamon for years now. There is, however, change on the way. You can preview what will likely be the new default Mint theme at some point by heading to Settings >> Appearance and switching to the new theme, Mint Y. As you would expect from Mint, it's not radically different. It's a bit flatter, buttons are less 3D, gradients have been toned down, and window bars blend into toolbars like they did in older versions of GNOME 3 (back when toolbars and windows bars were still separate things). We've all witnessed the rise of the iPad and the iPhone. This was attributed to iOS somehow and it started a new trend with various projects trying to replicate Apple’s success, inventing new formulas and radically changing their own goals, focus or identity in the process. We've seen a new artistic trend called "flat", with bright colors, no gradients and minimalistic widgets, taking these projects by storm. You don’t see us at the forefront of all that. We do keep a close eye on it, without any intention to jump into it, but rather to learn from it and to see if it can help us improve what we’re already doing. People who enjoyed Linux Mint years ago still enjoy it nowadays. If you enjoy it now, chances are you’ll enjoy it still for a long time. You’re here because you enjoy it right now, we know that, we enjoy it too, and we've no intention of being anything else. So, in the context of that “new look and feel”, we’re not trying to reinvent ourselves. We’re talking about icons and GTK themes here. We’re also committed to supporting Mint-X, so with a click of a mouse you’ll be able to make Mint 18 look just like the way Mint 17 did. Mint Y is, in other words, a nice evolution of Mint X with a nod to the current trend of "flat" user interface design. Yes, It looks similar to what GNOME, KDE, OS X 10.11, and Windows 10 are doing. Mint X looks similar to what GNOME, KDE, OS X, and Windows were doing six years ago—a decidedly "metallic" look to it that a certain fruit-themed OS also used around that time. Mint Y simply evolves to fit with the modern OS world. That's part of what "evolutionary" means: changing to better fit the current environment. Somewhere between then and now, Lefebvre and team must have changed their minds about making Mint Y the default, however. As of Mint 18 if you want to evolve the look and feel of Mint, you'll have to do it yourself. If you'd like a slightly different feel, there's also a very nice dark theme, Mint Y dark, and a hybrid of the two that uses dark toolbars and buttons with light panels.